In our earlier post we learned about Connecting Java to Microsoft Access.In today’s post we shall learn about connecting Java to Mysql database.For connecting Java to Mysql we need to install Mysql odbc drivers.You can get the drivers from their original website.After downloading the drivers install them on your system. So you have done the primary step in connecting Java to Mysql.Now open control panel,goto administrative tools.Their select DataSources(odbc).Now you get a dialog box which looks like this and select the add option init. 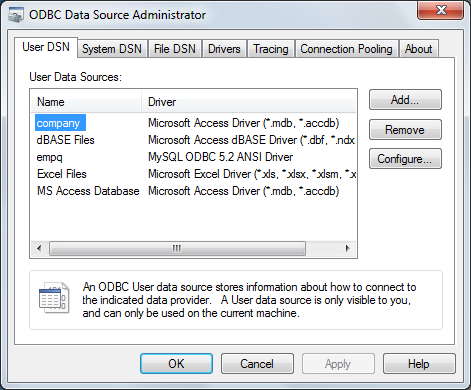 After selecting the add option there search for”MYSQL ODBC 5.2 ANSI Driver” and select it.It opens a dialog box to enter the details of the sql database….. In the Data source Name enter the name of the source file.For TCP/IP give it as localHost and keep the port as default.Now enter the user and password details of the Mysql database.After the details of user and password click on test.If connection is ok,then in the field Database we can see the list of the tables present in the given database and select the desired one. With this we have created a connection between java and Mysql. 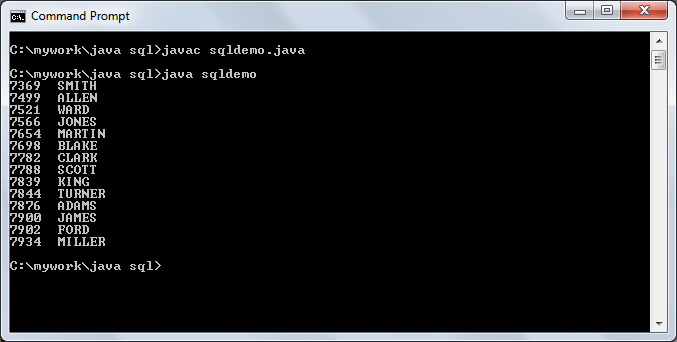 Now we shall write the program which is similar to that of using Java with Microsoft Access Database. Description:In the above program we have used the method forName() which is present in the class “Class” for dynamically load the class.Next we have declared a string url for telling the protocol,sub-protocol and data source which we are going to use. 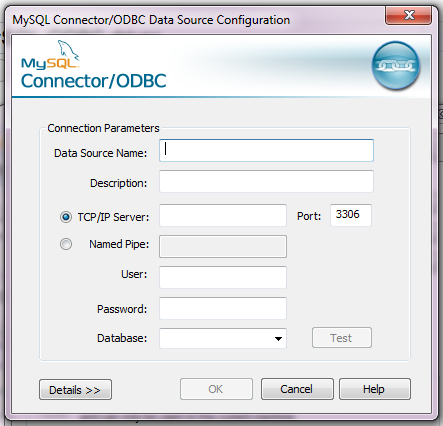 This entry was posted in Java and tagged how to connect mysql database in netbeans in java, java connect to mysql database example, java query mysql database, jdbc connection example in java, my sql connection in java, mysql db connection in java, mysql jdbc driver. Bookmark the permalink.